From the time I first started reading chapter books, the mystery genre became my favorite. I have to say after all of these years reading mysteries I am still not real good at figuring out the mystery. When I read the synopsis of this book I knew it was one I wanted to read. We have a very dysfunctional family. Mandy is the daughter of a police officer. Her mother and father’s marriage began to fall apart when Mandy’s best friend, her brother, also a police officer was killed. Her mother is convinced her son was pushed into this line of work by Mandy’s father. Now Mandy’s mom has gone missing. The father doesn’t seem worried because she often goes missing for short periods of time. This time however, they’ve found her car with traces of blood in it. The author keeps you guessing as to who would have something against the mother. The story starts off very ominous. The tension is kept going from page one to the last page. The characters are very well developed. I have to say once again I was unable to figure it all out until the end. I loved this book and would definitely read more by her. I also loved the setting. I am very familiar with this area as I'm originally from Indiana. I lived in a small town south of Kokomo. M. E. May lives in the Far Northwest Suburbs of Chicago with her husband, Paul, and their white Husky, Iris. Born in Indianapolis, she spent most of her years there or in a suburban town near there. Although she has physically moved away, her heart still lives in her hometown. She has a son, daughter, and four wonderful grandsons living in central Indiana. She attended Indiana University in Kokomo, Indiana, studying Social and Behavioral Sciences. Her interest in the psychology of humans sparked the curiosity to ask why they commit such heinous acts upon one another. 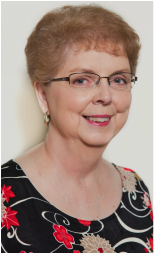 Other interests in such areas as criminology and forensics have moved her to put her vast imagination to work writing crime fiction that is as accurate as possible. In doing so, she depicts societal struggles that pit those who understand humanity with those who are lost in a strange and dangerous world of their own making. 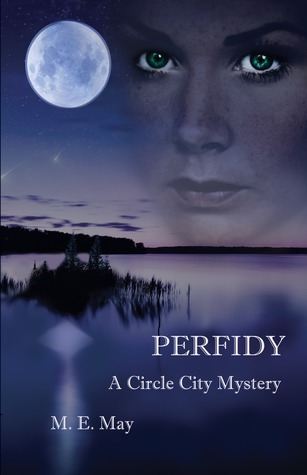 In creating the Circle City Mystery Series, she brings to life fictional characters who work diligently to bring justice to victims of crime in the city of Indianapolis. Michele also hopes her readers will witness through her eyes, the wonderful city she calls her hometown. Learn more about Michele atwww.memay-mysteries.com.